Aimee and Drew, a very sweet couple, gave us a jar of their homemade apple butter yesterday and it is oh so good. We ate it on bread, but I'd consider spooning it right from the jar. i've been snacking on crackers topped with brie and apple butter the past few weeks - highly recommend it! I'm obsessed with all types of fruity spreads lately. All I want to consume is toast with jam/chutney/apple butter/etc. ooh that looks simply delish!! looks delicious! I have done homemade jam for christmas and gave it to my family :) such a nice present! I would feel so grown up if I could make that :) It sounds so delicious! 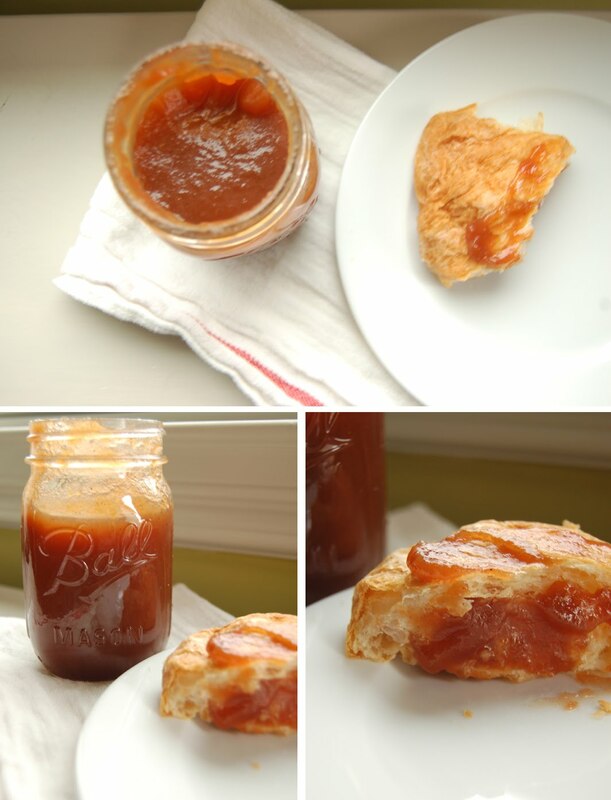 Mmmm, apple butter. Great photography! I sooo want to try making this! Looks super yummy.